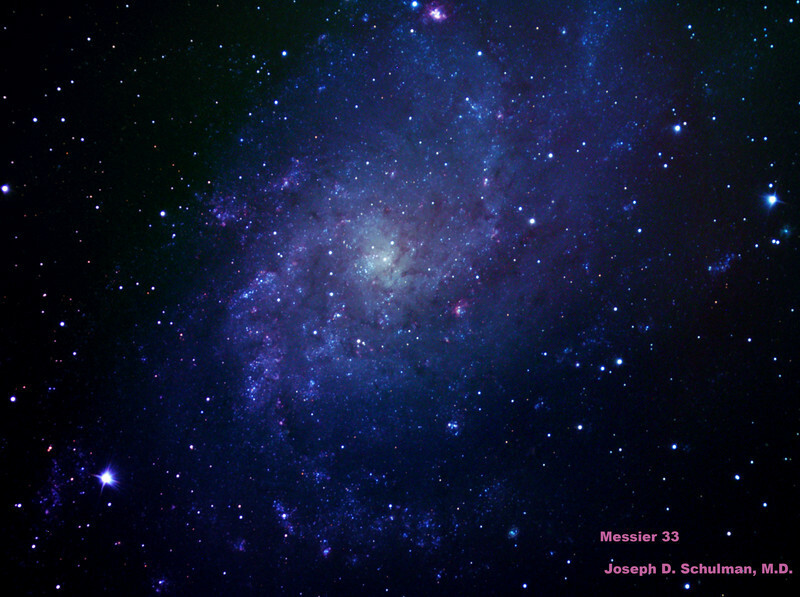 Messier 33 (M33), Pinwheel Galaxy. This image taken from sea level may be compared with the result made possible with the 32 inch telescope and a more advanced camera atop Mt. Lemmon which appears later in this gallery.